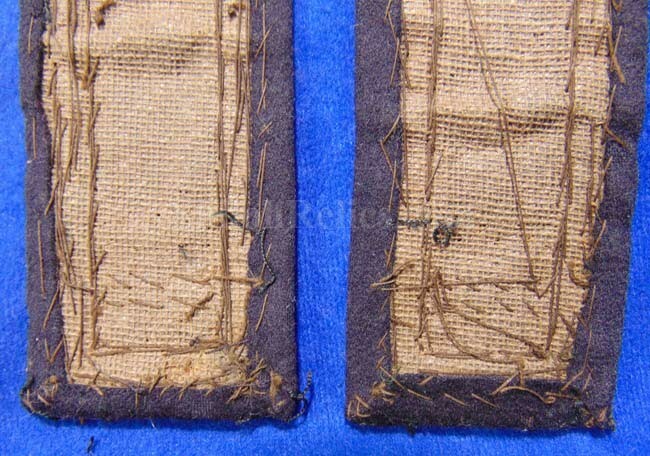 This is a beautiful matching pair of original Infantry 1st Lieutenant’s Civil War officer shoulderboards. 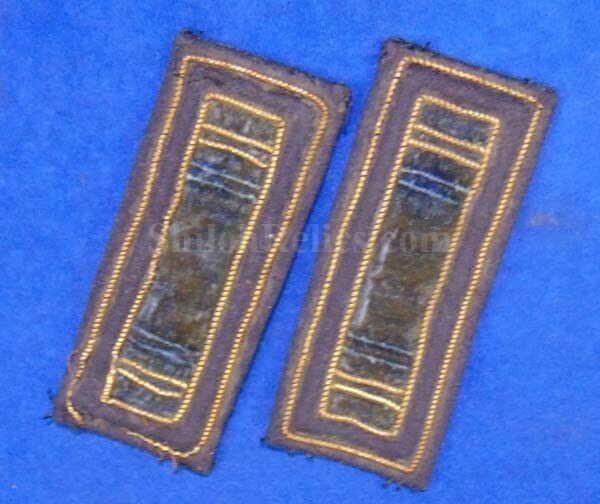 These are for the rank of 1st Lieutenant because of the single bar on each side of the center of the board inside of the brass bullion border. 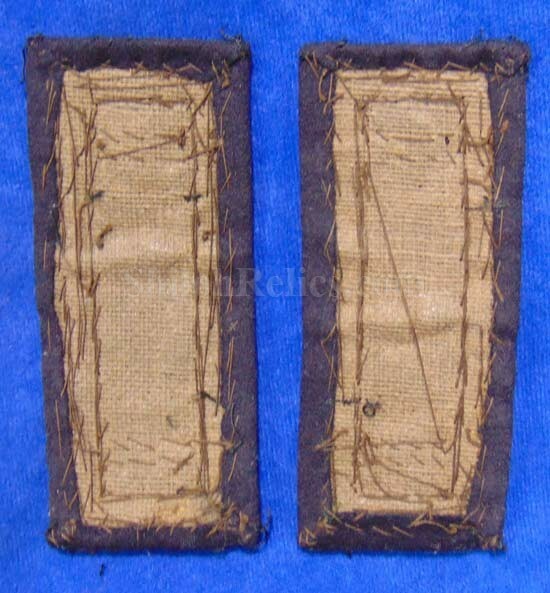 We know that these are for the infantry branch of service because of their dark blue color in the center that is in excellent condition. These are the nice quality versions with the single border and are the correct Civil War size. 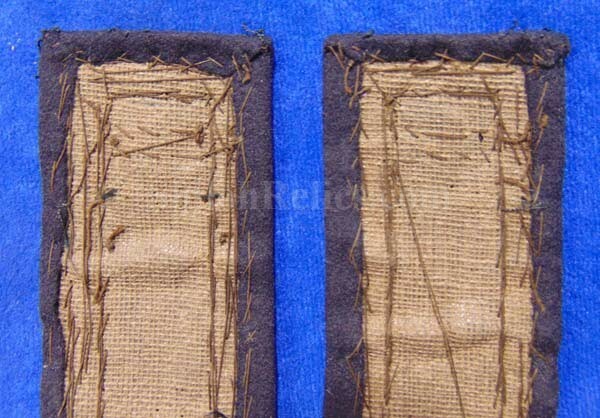 The boards are in fine complete shape with the wear here and there as you can see in the pictures. Each board measures 4-1/8th inches by 1-3/4ths inches in overall size. 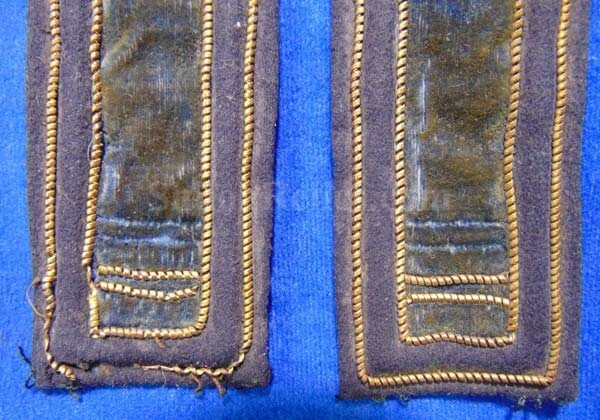 One thing that makes these special is that you can see the outline where one of the bars was removed long ago. 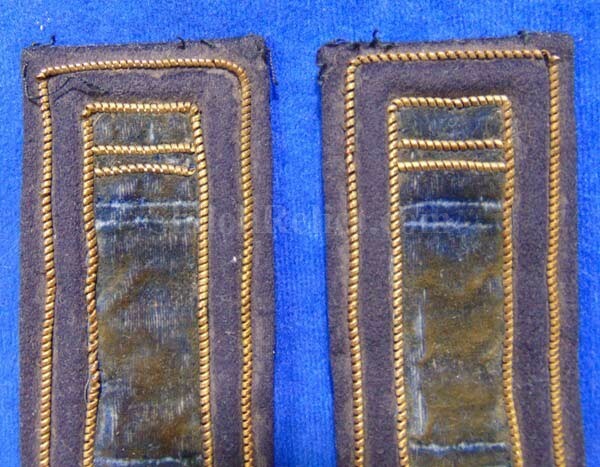 Two bars mean the rank of Captain. He must have gotten demoted and had to remove one of the bars. That is a neat thing to show your friends. They will make a nice addition to your Civil War infantry display.